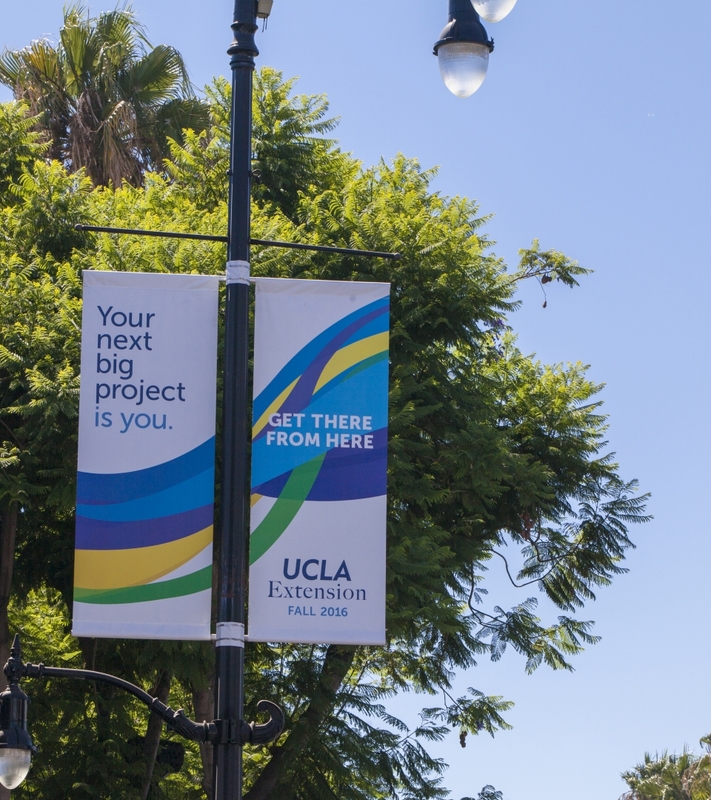 UCLA Extension wanted to launch an extensive campaign throughout Southern California to increase awareness, particularly amidst the modern-day challenges of heightened competition among continuing education. The creative campaign targeted individuals looking to grow in various industries—business, tech, entertainment, writing, sustainability and healthcare—and emphasizes helping students find their path to success with aspirational and personal messages. The concept, metamorphosis, was expressed as illustration of colorful ‘journey paths’ that adds beauty and energy wherever it’s placed—from LAX to dynamic motion screens at L.A. LIVE. 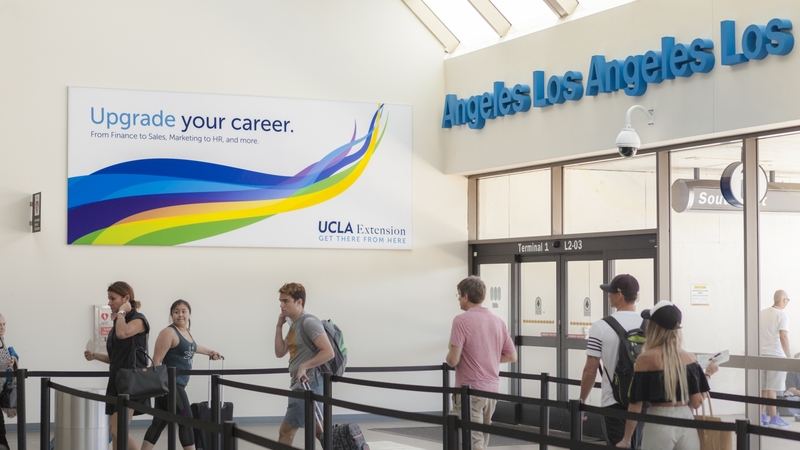 In the design, the blue and gold colors were reworked into a vibrant, flowing stream of ribbon, with the various shades and colors used in the ribbons representing the multitude of choices for professional and personal development offered at UCLA. 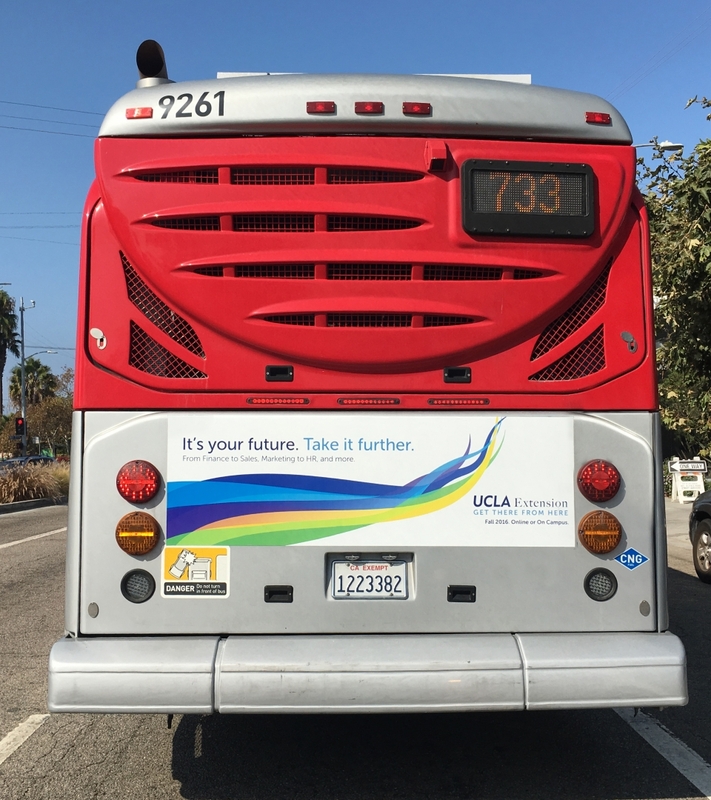 The out-of-home campaign includes billboards, pole banners, bus tails on the Metro and the Blue Line, as well as digital displays at local airports, in elevators, cinemas and online.